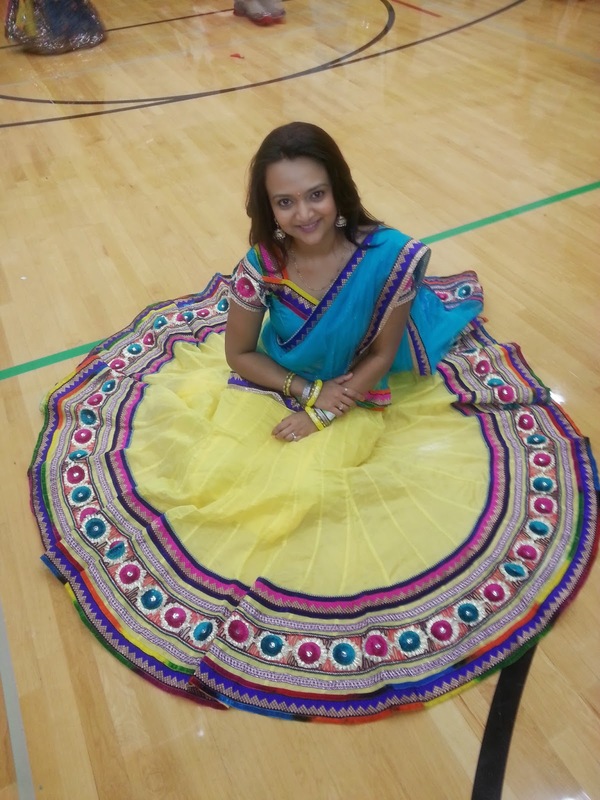 Home / Fashion / Festive Colorful Lehengha ! Hi friends my last post was about Shopping for Navarathri, so what I finally chose from GOLD 'N LOOKS was this yellow lehengha(skirt) with green choli/blouse and green dupatta. The colorful flowers add that festive feeling to the whole attire.The big blue and orange hangings perfectly compliment the whole outfit. The Best part is the flare of the lehengha(skirt) which is seen when I turned and swirled while dancing. I totally enjoyed wearing this dress which was surprisingly not that heavy so I comfortably danced around for three hours ! Do you like wearing yellow and green together? Let me know your thoughts about this look. Love the ghagra ... And the colour combo is beautiful! WOW..i love ur traditional wear. U look gorgeous. Beautiful....... The lehenga and you! love the one you picked out. Thats a lovely lehenga and you look great! Last one is well clicked! I love the brightness , both the in lehenga and in the smile. Lovely Ananya. Love your attire and the colour combination as well. It suits you very well. Superb! You know to carry yourself pretty well in all dresses. Be it modern or traditional. And great choice of colors too. :) Looking very Beautiful. Thank you so much for the comment on my blog. I really like yours! I'm now following you on GFC, Facebook, and Pinterest. Very nice colorful dress! :) Follow for follow?